Selina joins Carton House from the position of Deputy General Manager at The Gibson Hotel, Point Village. Kickstarting her early career at the 5 Star Shelbourne Hotel Dublin, Selina now brings over 20 years’ experience to her new role, having previously held senior management roles with The Choice Hotel Group at Liffey Valley and Dublin Airport. As Deputy General Manager at Carton House, Selina will be a strong support to General Manager Adrian Mc Laughlin in the day-to-day running of this award-winning resort, ensuring the highest of standards and delivering a world-class experience to new and returning guests. Lorraine’s extensive experience in the Irish hotel industry best positions her to lead the Sales & Marketing initiatives for Carton House. 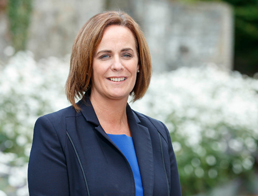 Over the past decade, Lorraine has held many senior roles within leading Irish hotel groups including FBD Hotels, Carlton Hotel Group and most recently Sinnott Hotels where she joins Carton House from Brooks Hotel, a Small Luxury Hotel of the World. As Assistant Director of Sales & Marketing, Lorraine will roll out campaigns for the resort to support the residential, conference, leisure, corporate, food & beverage, golf and spa markets.